This exhibition is the first comprehensive presentation of Hussein Chalayan’s work in the UK. 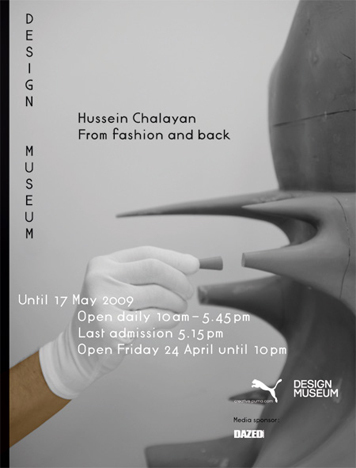 Spanning fifteen years of experimental projects, the exhibition explores Hussein Chalayan’s creative approach, his inspirations and the many themes which influence his work such as cultural identity, displacement and migration. Tickets available in advance from Ticketweb.